Dr. Thomas DiStefano, McLeod Orthopedic Surgeon, reunites with patient Katherine “Kappie” Griggs, who has fully recovered after she broke a bone in her leg from a fall at home. (Cheraw, SC, January 21, 2019) – Exactly one week before Thanksgiving in 2017, Cheraw resident Katherine “Kappie” Griggs had just returned home from an out-of-town trip and was carrying her bags upstairs, when her foot slipped and she fell. She simultaneously slammed her leg onto one of the stairs and felt the worst pain imaginable. Kappie has seen her fair share of injuries in her role as Office Manager and Volunteer Coordinator for Mercy in Me Free Medical Clinic and quickly realized that she had broken something in one of her legs after she tried to stand and collapsed. Kappie managed to pull herself up onto the chair and ride it down to the bottom of the staircase from which she had to crawl on her hands and knees to reach the other room to get her phone. Kappie then called 911 and within minutes, an ambulance arrived. 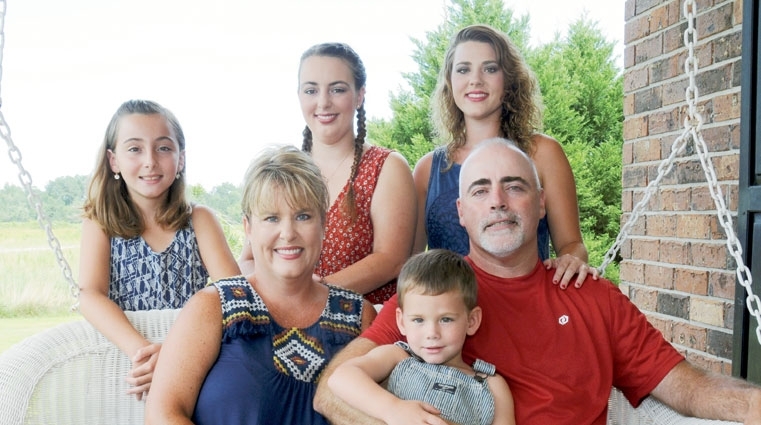 She was taken to the Emergency Department at McLeod Health Cheraw where her injuries were evaluated and she was told that she would need to be seen by an orthopedic surgeon. Dr. Thomas DiStefano, a McLeod Orthopedic Surgeon, performed the surgery the next day to repair Kappie’s fibula bone. Today Kappie is walking without a limp or any assistance and has not missed a beat. She has gotten back into serving her community at the medical clinic and has even been on a trip to Ireland with her friends. For more information on orthopedic surgery, call McLeod Orthopaedics Cheraw at (843) 537-0010. Charles Hopper, a 76-year-old Bishopville, South Carolina native and retired correctional officer, dealt with excruciating knee pain for many years. “My knee would literally come out of place with no warning,” said Charles. The pain prohibited Charles from enjoying his retirement. He could no longer garden, go fishing, or take his wife out to dinner. He even missed an occasional church service. Charles previously underwent procedures on his right knee to alleviate meniscus damage, but after years of wear and tear, his knee pain was a result of bone on bone. Charles visited doctor’s offices for multiple years and received conservative treatments for the knee pain until June 2018 when he decided to seek another option. 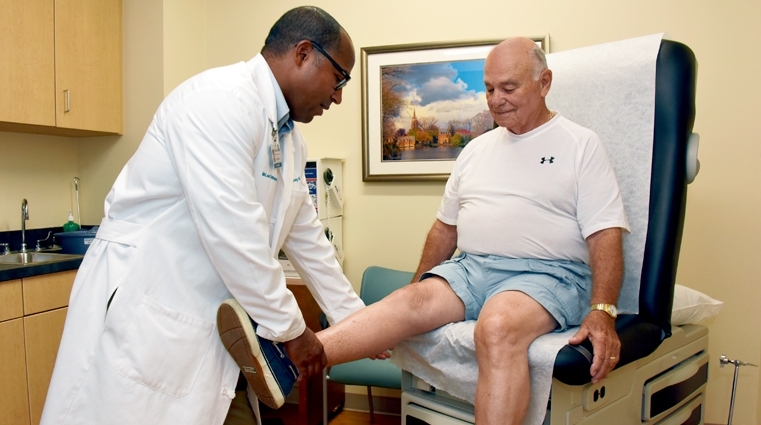 Charles talked with his Primary Care Nurse Practitioner in Hartsville who referred him to Dr. Rodney K. Alan, a Board Certified McLeod Orthopedic Surgeon. Prior to surgery, Charles participated in the McLeod Total Joint Replacement Class offered to orthopedic patients. The class informs patients about what to expect during their hospital stay and recovery period. The joint replacement class, taught by Orthopedic Navigator Melissa Brock, prepared Charles and his family for his care at home as well as his follow-up appointments. Charles’ surgery was performed at McLeod Regional Medical Center in Florence. “I received excellent care during my overnight stay at McLeod. The doctors, nurses, technicians, and environmental services staff were so thoughtful and took care of mine and my family’s every need,” said Charles. After surgery, Charles was given the option to use McLeod Orthopaedics and McLeod Sports Medicine and Physical Therapy located at McLeod Medical Park Hartsville for his follow-up appointments with Dr. Alan and his physical therapy. Living in Bishopville, the drive to Hartsville only took 11 minutes. Charles experienced a successful surgical outcome. He progressed well through his physical therapy with Physical Therapist Karen Hammer and Tanner Heustess, Physical Therapy Assistant at McLeod Sports Medicine and Physical Therapy in Hartsville. “Charles is an ideal patient. He has taken the healing process seriously and completed his physical therapy,” added Dr. Alan. McLeod Medical Park Hartsville provides continued excellence and quality care with greater access to services. At this regional clinic, McLeod Orthopaedics offers comprehensive orthopedic care from the first consultation to the last follow-up. Highly-skilled McLeod Orthopedic Surgeons serving this location include Dr. Rodney Alan, Dr. Patrick Denton, Dr. Thomas DiStefano and Dr. Jason O’Dell. Additionally, services at the clinic include physical therapy and rehabilitation through McLeod Sports Medicine as well as physician appointments in Cardiology and Vascular Services. Imagine living with constant joint stiffness and pain. Each day brings with it the worry of whether or not you will be able to do the things you love most. Annie “Sparkle” Shoemake, a Cheraw resident, faced this concern daily as she painfully got out of bed each morning. Sparkle is not alone. In fact, thousands of Americans face the harsh reality of limited mobility on a regular basis, often resulting in poor quality of life. Sparkle had undergone a total knee replacement on her right knee ten years ago in Florence and recognized the same symptoms in her left knee; however, Sparkle was focused on caring for her late husband who was ill.
As time passed, Sparkle’s knee pain became more intense and debilitating. The unbearable pain and stiffness restricted her from participating in her favorite activities, namely spending precious moments with her grandchildren. “I could manage necessary tasks, but walking for long periods of time became impossible,” said Sparkle. Sparkle tried cortisone injections, pain relievers and other non-invasive treatments to no avail. After enduring more than two years of pain, stiffness and limited range of motion with her left knee, Sparkle decided to tell her primary care physician about her concerns. Based on her symptoms, Sparkle’s primary care physician referred her to Dr. Thomas DiStefano, an orthopedic surgeon with McLeod Orthopaedics Cheraw. Dr. DiStefano reviewed Sparkle’s medical history and ordered X-rays of her left knee which revealed that her arthritis had progressed to being bone on bone. Dr. DiStefano strongly recommended knee replacement surgery for Sparkle. After her initial consultation with Dr. DiStefano, Sparkle felt something that she had not experienced in a while: hope. Sparkle then met with the physical therapy team for a pre-surgery assessment of her range of motion. She also received education on certain exercises and tips for getting out of bed and walking after surgery. On January 19, 2018, just two weeks after her consultation with Dr. DiStefano, Sparkle underwent the first total knee replacement performed at McLeod Health Cheraw. Sparkle’s surgery proved to be successful, and she began an extensive physical therapy routine almost immediately following her surgery. Sparkle also praised the physical therapy team and nursing staff for a positive patient experience during her hospital stay. The one-on-one attentiveness of Dr. DiStefano also impressed Sparkle as he checked on her daily and visited with the family to answer questions and provide any assistance needed. After settling in at home, team members from McLeod Outpatient Rehabilitation Services Cheraw provided convenient in-home therapy until Sparkle could drive again. Once cleared, Sparkle completed the rest of her physical therapy sessions in the outpatient rehabilitation department of McLeod Health Cheraw. Determined to regain the pain-free, physical independence she once enjoyed years ago, Sparkle dedicated herself to the physical therapy program. She credits the program as one of the major factors in her successful and speedy recovery. “Now, I can play with my grandchildren and keep up with them. I can even walk through Walmart without pain or stopping for a break,” said Sparkle. “My knee no longer holds me back like it did before. “I am so happy that I finally decided to have my second knee replaced, and I could not have asked for a better doctor to help make this possible,” she adds. Today, Sparkle enjoys her retirement one step at a time with her children and her grandchildren. Ambulatory Surgery Center and the physician offices of McLeod Orthopaedics. The McLeod Ambulatory Surgery Center occupies the first floor of Medical Park Five. The Center offers a safe and convenient environment for patients undergoing specific surgical procedures that do not require a hospital stay. Two fully equipped operating rooms are currently operational with two additional operating rooms scheduled to open in the near future. Installation of a 3.0 Tesla MRI (magnetic resonance imaging) machine is underway. This machine produces higher resolution images with advanced scanning capabilities, and offers imaging ability for the surgeons to perform more complex cases. Thirty percent faster than the average MRI, the unit allows for quicker imaging procedures and less wait times for patients. The new Ambulatory Surgery Center also supports the ophthalmology needs of patients throughout the region. 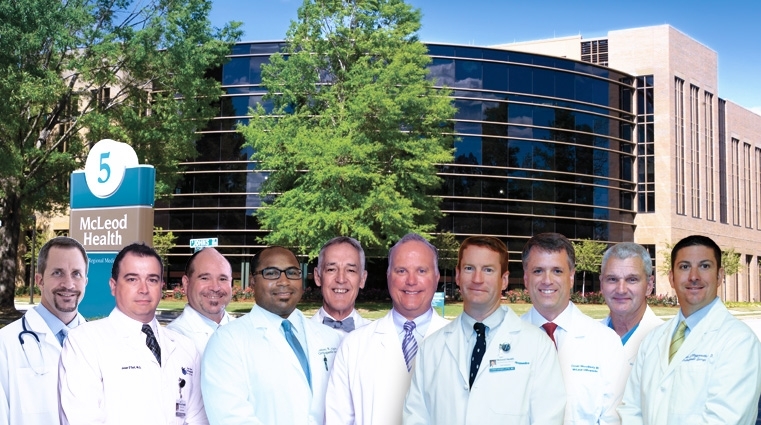 Stokes Regional Eye Center physicians utilize the state-of-the-art facility to perform eye surgery procedures. In addition to eye surgery, McLeod Medical Park Five includes space for orthopedic care. 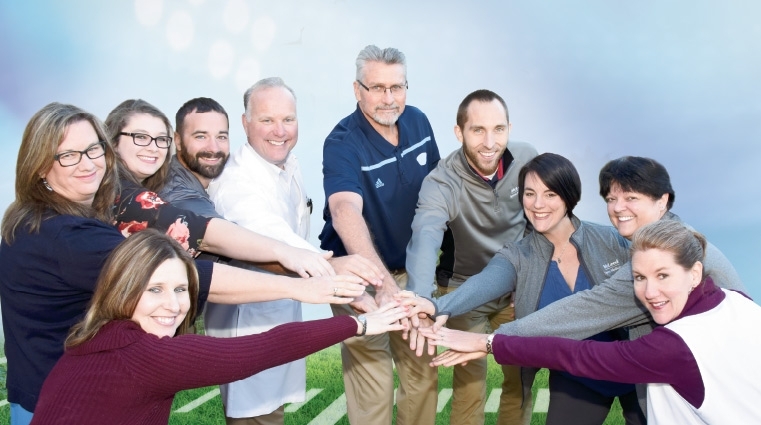 The McLeod commitment to excellence in orthopedic care recently led to combining McLeod Orthopaedics and Pee Dee Orthopaedic Associates under one name, McLeod Orthopaedics, and one location. This group of leading orthopedic surgeons provide the highest level of expertise for the diagnosis and treatment of orthopedic conditions. The second and third floors of McLeod Medical Park Five are home to the physician offices of McLeod Orthopaedics. The 40,000 square foot space provides a location for the physicians to care for orthopedic patients in one office. The facility also houses a rehabilitation gym for physical therapy and occupational therapy needs and a procedure room for in-office surgical procedures. A variety of orthopedic outpatient surgical procedures ranging from knee replacement, hand and upper extremity surgery to highly complex shoulder surgeries are performed on the first floor of the Center. Locating the McLeod Ambulatory Surgery Center and the orthopedic physicians all under one roof is an example of the McLeod commitment to providing excellence in orthopedic and surgical care through ease of access, convenience and expedience. “We are continuously finding ways to meet the growing orthopedic needs of the communities we serve by elevating the level of orthopedic care for patients across the region, providing convenient access to services, and enhancing the experience for our patients,” stated Will McLeod, Vice President of Orthopedic Services. For Brooke Taylor, hope means more than an aspiration or expectation. Hope served as the inspiration for her boutique, Hope Taylor & Company, in honor of her mother’s name. Hope also led her to McLeod Orthopaedics Seacoast to find relief for her excruciating hip pain. Brooke Taylor, 48, may not be your typical hip replacement patient. 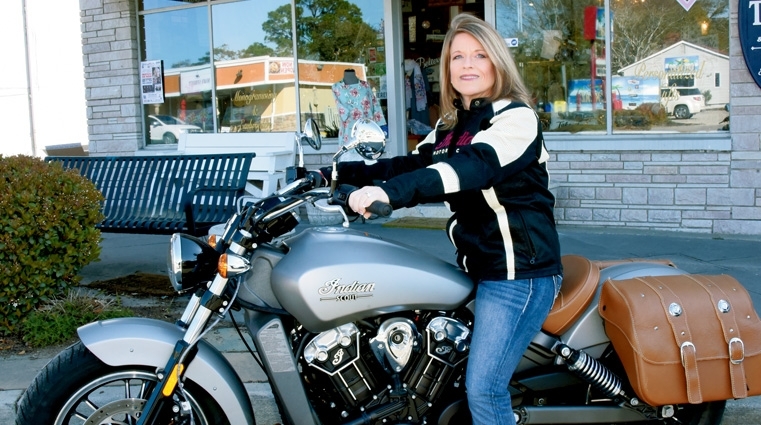 In addition to being very active and healthy, Brooke enjoys riding her Indian Scout motorcycle along the Grand Strand on warm, sunny days. For a year, Brooke suffered from pain in her left hip. The pain intensified and interfered with her everyday life. Getting in and out of her car proved difficult, as did riding her bike or working out. After consulting multiple doctors, Brooke was referred to Dr. Christopher Walsh of McLeod Orthopaedics Seacoast. “On my first visit, Dr. Walsh reviewed an X-ray of my hip and explained that the cartilage in the hip joint had deteriorated,” said Brooke. “He offered me two options. The first involved injections to see if the pain could be controlled, and the second option was to have a total hip replacement.” Ready to be pain free and to enjoy life after months of suffering, Brooke elected for the total hip replacement. “I asked Dr. Walsh to schedule the total hip replacement. Putting a ‘Band-Aid’ on it wasn’t a solution. I wanted my hip fixed,” said Brooke. Traditionally, the most common method among hip replacements involves the posterior approach. For this procedure, the team position the patients on their side and the surgeon makes an incision, slightly larger than the anterior option, behind the hip to insert the new hip joint. The posterior approach includes a higher risk of trauma to the muscle tissue, which can cause a longer and more painful recovery for the patient. At the time of her surgery the holiday season approached around the corner. Brooke worried about being away from her boutique during the busiest time of the year. After much research, Brooke ultimately decided to go with the anterior approach for her hip replacement. “I thought long and hard about the pros and cons of both procedures and chose to go with the anterior approach, hoping for a faster recovery,” said Brooke. Dr. Walsh performed the surgery at McLeod Seacoast and Brooke said she immediately felt better before even leaving the hospital. “I spent one night at the hospital, got up and dressed myself before being discharged the next morning,” said Brooke. Recovering quickly, she returned to Hope Taylor & Company a week after undergoing her hip replacement. Driven to always stay busy, Brooke felt ready to get back to her store. “I used my walker, but more out of a safety precaution than for pain,” said Brooke. Brooke followed up with Dr. Walsh two weeks later, and he was amazed by her progress. “I observed her gait as she walked down the hallway and it was almost perfect,” said Dr. Walsh. Brooke’s recovery progressed so well that she did not need to continue physical therapy. “Patients who receive posterior hip replacements usually require four to six weeks of physical therapy after surgery,” said Dr. Walsh. “This helps restore the joint motion and strength. But, with the anterior hip replacement, physical therapy is very minimal.” Enjoying life again, Brooke has returned to normal function. The wear and tear on an athlete’s knees is often the result of years of playing high-impact sports like football or basketball. Bob Wilson, an Athletic Director for Florence School District One, underwent his first knee surgery for a damaged ligament and torn meniscus at McLeod Regional Medical Center in 1979. He was playing basketball for Francis Marion College, now Francis Marion University, when he sustained the injury. Bob’s initial procedure occurred before arthroscopic surgery, minimally invasive surgery of the knee, became available in the area. At the time, recovery from his injury and subsequent surgery included a week’s stay in the hospital and six months of physical therapy before release to resume normal activity. Since Bob’s initial surgery 38 years ago, he has undergone four arthroscopic procedures on his left knee and two arthroscopic surgeries on the right knee. Arthroscopy, when appropriate, is often performed on the knee to alleviate meniscus and cartilage damage. A long-time patient of McLeod Orthopedic Surgeon Dr. Patrick Denton, Bob trusted Dr. Denton’s advice to have a total knee replacement. After extensive history of knee surgeries as well as conservative methods and bracing, Bob’s knee appeared “bone on bone” and very little cartilage remained. With more than 36 years of experience in athletics, Bob professes to using sports analogies for every situation in life. When Dr. Denton started discussing replacement for his left knee, he viewed himself as an athlete getting ready for next season and those he entrusted with his care as players on his team. “Planning ahead is integral to the success of sports, and a joint replacement is no different,” said Bob. With surgery scheduled for May of 2017, Bob set a goal to perform all of his duties as the Athletic Director for South Florence High School by August, in time for football season. Numerous people played specific roles in Bob’s journey before, during, and after surgery. Dr. Denton and his staff, Nurse Practitioner Meredith Banner and Medical Assistant Michelle Jones, helped prepare Bob by guiding him through the process of scheduling and pre-surgical testing. Bob also took advantage of the Total Joint Replacement Class offered to orthopedic patients prior to surgery. The class informs patients about what to expect during their hospital stay and recovery period. The Joint Replacement Class, taught by Orthopedic Navigator Melissa Brock, eased some of Bob’s apprehension and prepared his family for his care at home, as well as details on transportation to appointments. One day at South Florence High School, McLeod Sports Medicine Certified Athletic Trainer Sarah Shaeffer noticed swelling on Bob’s knee and referred him to Erika Rowe, a McLeod Lymphedema Specialist. Lymphedema, or swelling of the joint, frequently occurs after a total joint replacement. Lymphedema therapy reduced the swelling in Bob’s knee in only two sessions. When Bob was not in physical therapy, Eric Schwab, a Certified Athletic Trainer at South Florence High School, assisted him with stretching and flexibility. Once released from physical therapy, Bob resumed working out every morning at the McLeod Health & Fitness Center, where he has been a member since 2001. “I would advise anyone preparing for surgery to control what you can and plan. Obtain as much information about the procedure as possible to prepare for the entire process. This includes many small details such as transportation to physical therapy and other appointments. Staying active is also a vital part of the preparation process although that part has to become a lifestyle habit,” Bob said. When Darrell Estes purchased an old 1950 Plymouth before relocating from Mt. Airy, North Carolina to Sunset Beach, he was looking forward to retirement and cruising the beach with his wife, Sally. In November of 2016, while in the process of moving, Darrell was visiting a friend and tripped on some steps in the garage. After two weeks, Darrell’s knee had healed, but his right shoulder ached and functioned poorly. On the day of his appointment, Dr. Lukowski examined Darrell and suspected that he had a torn rotator cuff. “Darrell was visibly in pain, but to be 100 percent sure of the diagnosis, I sent him to McLeod Seacoast for an MRI,” said Dr. Lukowski. When the MRI confirmed a complete tear of two muscles in his rotator cuff, Dr. Lukowski recommended an outpatient surgical repair of the rotator cuff to help eliminate the pain. On the morning of January 20, 2017, Darrell arrived at McLeod Seacoast for surgery. Performing an arthroscopic repair, Dr. Lukowski inserted a tiny camera, called an arthroscope, into Darrell’s shoulder joint through a small incision in the skin. The camera is connected to a video monitor in the operating room and produces images that allow Dr. Lukowski to examine and repair the tissue. The procedure is less invasive with smaller incisions and does not require separating muscle layers, which results in less pain following the surgery. A complete recovery of a rotator cuff repair usually takes several months. Darrell gained functional range of motion and strength four months after his surgery. His commitment to Deborah’s plan of care and physical therapy helped with his successful outcome. Now that his arm and shoulder have healed, Darrell and Sally love to take the Plymouth out for drives and to visit car shows. “As a retired pharmacy director of a small community hospital, I have nothing but compliments for the physicians and staff at McLeod Seacoast and the excellent care I received during my surgery and rehabilitation,” added Darrell. Betty Board looks forward to her daily strolls through the neighborhood. After a serious ankle injury, she experienced severe pain and swelling that made it difficult to simply walk. Betty met with McLeod orthopedic surgeon Dr. Jason O’Dell, who determined that her entire ankle joint had deteriorated. To give Betty the best chance to maintain movement of the joint, eliminate pain, and preserve surrounding joints, Dr. O’Dell recommended a total ankle replacement. “I have never regretted going through with the surgery, and I am so glad that Dr. O’Dell was able to replace my ankle,” said Betty. Dr. O’Dell’s expertise and skill enabled Betty to get the total ankle replacement she needed and she’s back to walking with her loved ones. In January 2014, Edwin experienced a strange tingling in his left arm and sought medical treatment. Edwin started with physical therapy, but the sensation grew worse the more he exercised his upper body. Finally, the tingling subsided, only to be replaced by pain between his shoulder blades that radiated down into his back at times. 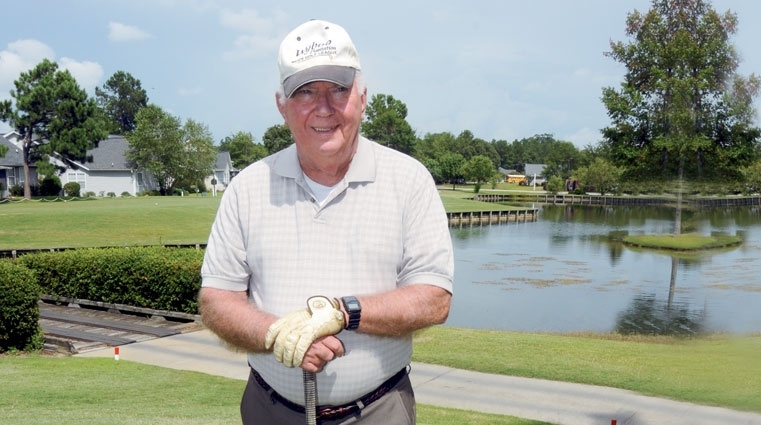 He eventually could not play golf since the pain limited him to chipping and putting. Edwin lived with the pain for months, but after speaking with Dr. David Woodbury at a local American Legion meeting in Manning, he decided to schedule an appointment. He had been a patient of Dr. Woodbury’s with a different orthopedic condition a few years earlier and knew that he would receive excellent care. A Board Certified Orthopedic Surgeon with McLeod Orthopaedics, Dr. Woodbury cares for patients in the Florence and Sumter offices. He also has additional qualifications in Sports Medicine. Dr. Woodbury ordered an MRI (Magnetic Resonance Imaging) and discovered Edwin had a torn rotator cuff. The rotator cuff is comprised of four muscles and tendons that stabilize the shoulder. A tear can not only cause pain, but mobility issues. Edwin understood that the condition would not heal by itself over time. Since his shoulder affected his quality of life, Edwin decided to follow Dr. Woodbury’s recommendation to undergo surgery. “I wanted to delay the surgery even more, but I missed playing golf,” said Edwin. He underwent surgery in February 2015. Once in surgery, Dr. Woodbury found bone spurs on Edwin’s shoulder blade and also torn labral cartilage that had to be repaired in addition to the rotator cuff tear. Post-surgery, Edwin had very little pain and healed fairly quickly. He completed physical therapy twice a week for six weeks and performed stretch band exercises in a home exercise program. Dr. Woodbury monitored Edwin’s range of motion and his strength during his post-operative appointments. At his last follow-up appointment two months after surgery, Dr. Woodbury informed Edwin that he could begin playing golf again as both his strength and range of motion were restored. In early June, Edwin reported that he was able to fully swing the golf club. “I worked hard to get back into the swing of things after not being able to play for a long time, and it was all worth it,” he added. For appointments with Dr. Woodbury, please call McLeod Orthopaedics in Sumter at (803) 433-5633 or (843) 777-7900 in Florence. On October 16, 2015, the Georgetown High School football team hosted Lake City High School during what seemed to be a typical Friday night under the lights. An intense contest of athleticism, Lake City beat Georgetown by one point to win the game with a final score of 34 to 33. 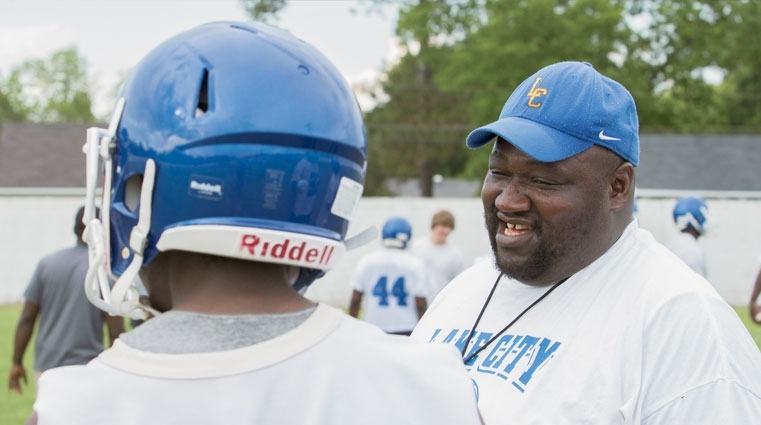 Immediately after the game, as coaches, athletic trainers and athletes were preparing to leave, Lorenzo McFadden, the Lake City High School Defensive Line Coach, began feeling dizzy and collapsed. McLeod Sports Medicine Certified Athletic Trainer Heide Burgin, along with several healthcare professionals, rushed to Lorenzo’s aid. They quickly determined that he was in sudden cardiac arrest. The team began CPR, and Heide prepared the Automated External Defibrillator (AED) that all McLeod Athletic Trainers carry with them at sporting events. AEDs are critical lifesaving tools that can assist in the event of sudden cardiac arrest by administering a shock to an individual’s heart to reestablish a normal rhythm. Users of the AED must act quickly. Each minute the heart is not pumping blood the individual’s survival rate decreases by ten percent. Attaching an AED within three minutes of cardiac arrest increases the individual’s survival rate to nearly 70 percent. Although AEDs have become more user-friendly for the public, CPR must be performed after an AED shock to keep blood flowing to the heart. Certified Athletic Trainers are state licensed and board certified. They are required to keep up-to-date lifesaving certifications such as CPR, and they are trained to handle all types of injuries and emergencies. While some injuries can be treated with ice, tape, or other modalities, there are times, like in Lorenzo’s case, when an Athletic Trainer must apply an AED. McLeod Certified Athletic Trainers provide medical care to 23 facilities in Chesterfield, Darlington, Dillon, Florence, Horry, Marion, and Marlboro Counties. Clients include 18 high schools, Francis Marion University, Florence Darlington Technical College, the Florence Red Wolves, and McLeod Health and Fitness Centers. The trainers also serve as a source of information in the region by providing resources and education to athletes, parents, coaches, administrators and community members. Throughout his life, David “Shawn” Graham, always noticed that his left hip would “pop” or “snap” during routine activities such as walking, running, biking or even getting up from a chair. When he reached his late 40’s, the pain became so unbearable, that Shawn decided it was time to seek help. When it came time to choose a physician for his hip pain, Shawn immediately sought the counsel of McLeod Orthopaedics Seacoast. The physicians with McLeod Orthopaedics Seacoast offer an extensive range of orthopedic care, including general orthopedics, joint reconstruction, sports medicine, and hand and upper extremity surgery. Shawn was familiar with the team at McLeod Orthopaedics Seacoast because Orthopedic Surgeon Dr. David Lukowski had performed carpal tunnel surgery on his right hand in 2015. Because Shawn’s pain was related to his hip joint, this time he received care from Orthopedic Physician Dr. Peter Lukowski. Dr. Lukowski performed x-rays and determined that Shawn’s hip was too damaged for pain injections. Because of the severity, Dr. Lukowski referred Shawn to Orthopedic Surgeon Dr. Eric Heimberger, a specialist in hip and joint replacement. Dr. Heimberger examined Shawn and determined that he was in need of a left total hip arthroplasty or replacement. Shawn was immediately open to the idea of undergoing surgery desiring to heal his hip pain and restore his quality of life. 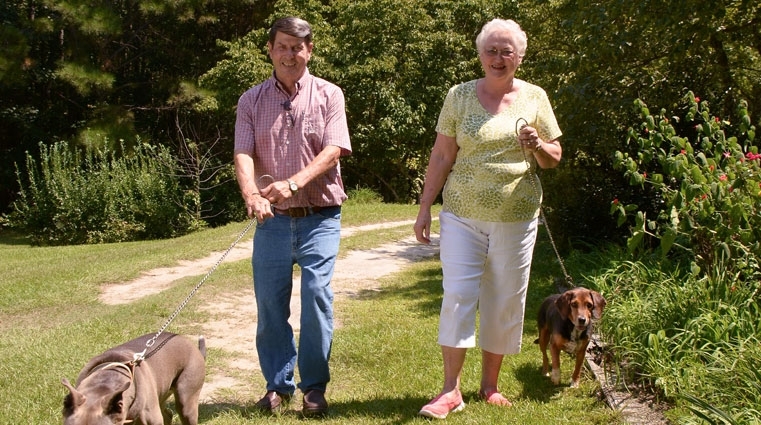 Before his operation, Shawn attended the McLeod Seacoast Total Joint Replacement Program. This one-day class, specifically designed for total joint replacement surgery patients, educates the patient and caregiver on what to expect during surgery and recovery. During surgery, Dr. Heimberger removed the damaged cartilage and bone of Shawn’s hip joint and replaced it with an artificial joint. He also removed a bone spur and two cysts that were adding to Shawn’s discomfort. A few hours after the surgery, Shawn was up and walking with a McLeod Seacoast Physical Therapist. During his recovery period, Shawn planted a garden, hiked the mountains in North Carolina and spent quality time with his family. In addition to his two experiences with McLeod Orthopaedics Seacoast, Shawn also received treatment for atrial fibrillation, an irregular heart rhythm, six years ago from McLeod Electrophysiologist Dr. Rajesh Malik with McLeod Cardiology Associates. He said he has not suffered any heartrelated problems since the procedure. Wanda sees providers at Dillon Internal Medicine for her primary care needs. She has also been under the care of Dr. Michael Sutton, McLeod Orthopaedics Dillon, since 2011. 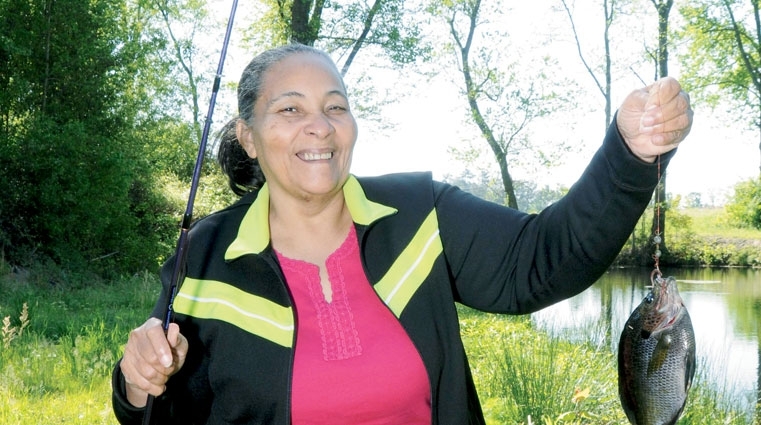 A retiree, Wanda was no longer able to participate in the activities she most enjoyed, such as coaching a little league baseball team, walking on the Fairmont Community Park Walking Trail, or fishing. During a visit with Dr. Sutton in December of 2012, Wanda informed him that she was ready to have knee replacement surgery on her right knee, which was in worse condition than her left knee. The surgery was scheduled for January 15, 2013. During her pre-admission visit, Wanda attended the joint education class led by the physical therapy team at McLeod Dillon. “The class was very helpful,” said Wanda. “It covered all of the information in the patient guide I received from Dr. Sutton’s office. It also helped get me ready for every aspect of the experience -- from preparing for my upcoming surgery through recovery. I knew what to expect when I arrived at the hospital the morning of my procedure and during my hospital stay." “The morning of surgery, the staff made sure I knew everything I needed to know about what was going to happen. Dr. Sutton also visited with me that morning and told m e he was going to take care of me. He was very reassuring,” said Wanda. 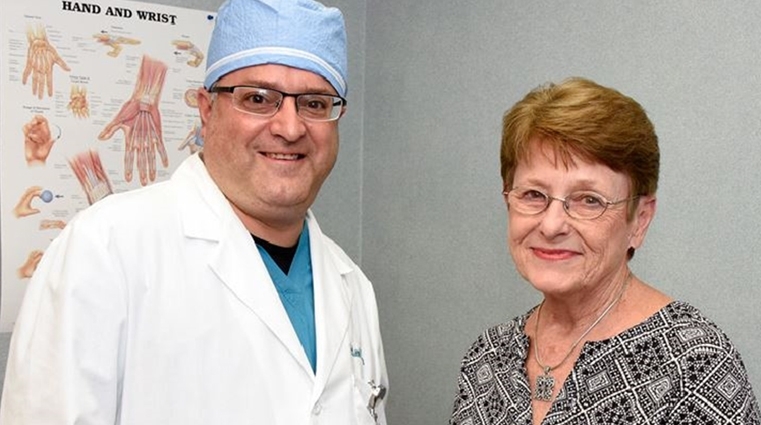 Wanda remained under Dr. Sutton’s care as she recovered from her right knee replacement and received treatment for the pain she was experiencing in her left knee. As time went on Wanda realized over-the-counter medications and steroid injections only offered minimal relief and the swelling was noticeably worsening in her left knee. Wanda’s left knee would also lock up and give away on her. After falling, Wanda knew surgery was the next logical step. “I was very happy with the results of my right knee replacement. I knew others that had traveled out of the area for knee replacement surgery who were not having the same positive results that I was experiencing. 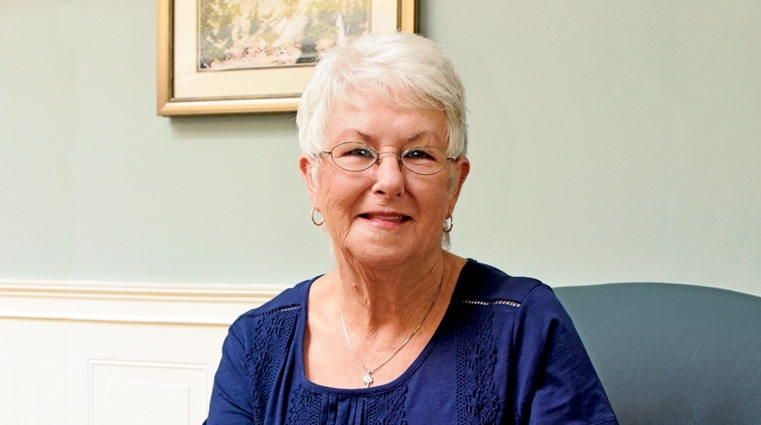 I felt very comfortable with Dr. Sutton’s recommendation, and I underwent knee replacement surgery on my left knee in December 2015,” said Wanda. Wanda explained that she had the same excellent outcome and recovery as she did during her previous surgery at McLeod Dillon. The reassurance of Dr. Sutton and the staff also meant a lot to Wanda. “I loved my nurses, both in surgery and those that cared for me after surgery. “Zipporah Farmer was one of the nurses who prepared me for surgery and made me feel at ease. The next day, Zipporah visited me and said, ‘I had to come by and check on you Mrs. Wanda.’ That made such an impression on me. I would not trade anything for the staff at McLeod Dillon,” Wanda said. Today, Wanda continues to recover from her left knee replacement surgery. She is also helping coach a little league baseball team of nine and ten year olds in Fairmont. Additionally, she can now go fishing or walking by herself without worrying that her knee will lock up on her. Besides sports, Wanda finds the most joy in spending time with her seven grandchildren. 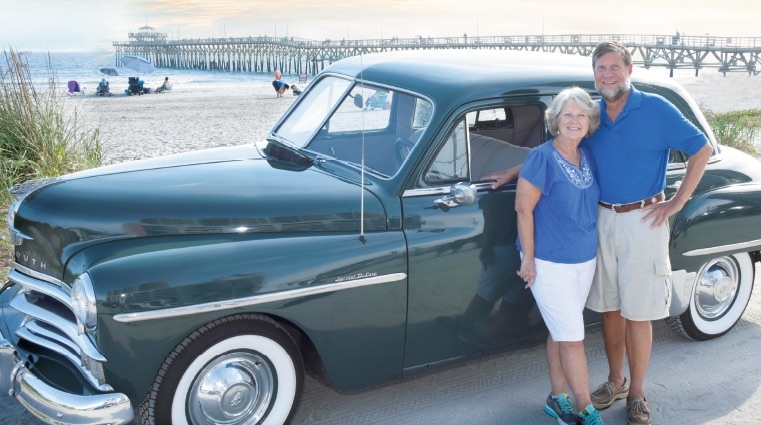 When Cathy Oakley was diagnosed with Stage 2 breast cancer in 2007, she decided to retire from her teaching position in Colonial Heights, Virginia, and move to North Myrtle Beach, South Carolina, with her husband to enjoy the beach life. Following a mastectomy and reconstruction along with chemotherapy, Cathy decided to focus her efforts on keeping a healthy lifestyle. She began working out three to four times a week. Over the course of time, Cathy began noticing a sharp pain in her right hand starting at her thumb. She was also having difficulty gripping the machines and weights during her work-outs. One day, before leaving the aquatic and fitness center, Cathy stopped by to see Brian Lowe, a McLeod Sports Medicine Athletic Trainer, for a sports injury screening. Brian checked over Cathy’s hand and recommended that she see an orthopedic surgeon who specialized in hand and upper extremities. Cathy took Brian’s advice and made an appointment to see Dr. David Lukowski with McLeod Orthopaedics Seacoast the following week. Dr. Lukowski specializes in hand and upper extremity surgery and is board certified by the American Board of Orthopedic Surgery. He has also earned an additional Subspecialty Certificate in Surgery of the Hand. Dr. Lukowski examined Cathy’s right hand and di agnosed her with osteoarthritis of the carpometacarpal (CMC) joint of the thumb. The cartilage at the base of Cathy’s thumb joint was wearing away to where bone was rubbing against bone causing her severe pain. Eventually the injections were only lasting two to three weeks. Dr. Lukowski explained to Cathy that the best option was surgery. He recommended performing a Ligament Reconstruction and Tendon Interposition (LRTI) procedure which is the most common surgical technique to treat thumb arthritis. “Most patients achieve complete pain relief and mobility equal to that of a healthy thumb,” said Dr. Lukowski. Cathy knew she would have to wear a cast for four weeks and attend occupational therapy after the cast was removed. She left Dr. Lukowski’s office that afternoon to think about her decision and how it would affect her lifestyle. Cathy said her outpatient surgery and recovery at McLeod Seacoast was an exceptional experience. After the cast was removed, Dr. Lukowski referred Cathy to the McLeod Occupational Therapy Hand Center for rehabilitation. Cathy and her therapists focused on therapeutic exercises and manual therapy to help her regain motion, strength and ability. 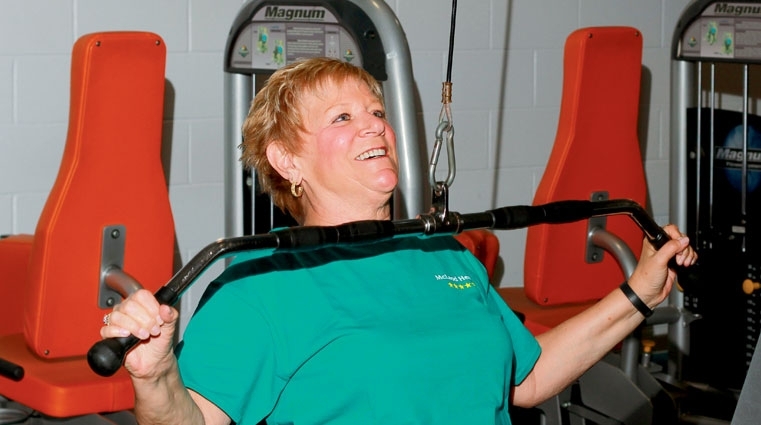 After completing occupational therapy, Cathy eagerly returned to her normal routine of working out and staying healthy. Will Williams always enjoyed running and racing with his sons. But on May 4, 2016, the father of three lost his balance and landed on his left pinky finger. Hearing a loud cracking noise, Will knew he had broken his finger. A trip to an urgent care facility confirmed a fracture in Will’s finger. He was advised to make an appointment with Dr. Christopher Litts, a board certified and fellowship-trained Hand Surgeon with McLeod Orthopaedics. Dr. Litts treats all disorders of the hand, wrist and elbow such as carpal tunnel, trigger finger, hand arthritis, ganglions or cysts, tendonitis, fractures, sprains and lacerations. 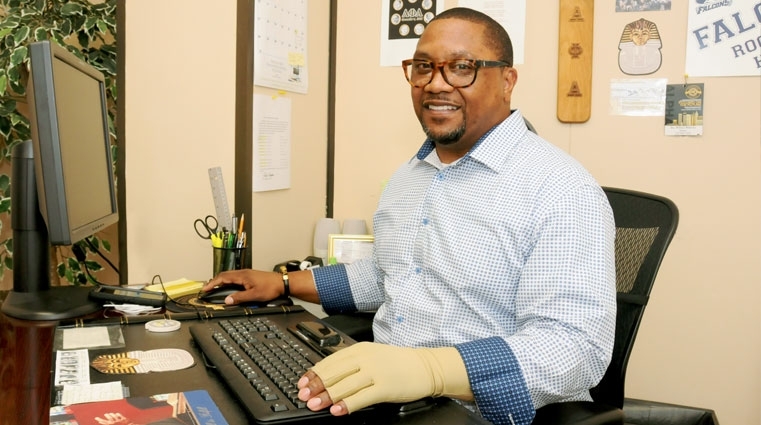 An Information Technologist for Florence County in the Clerk of Court office, Will uses his hands to perform various computer tasks. Fractures of the metacarpal bone that lead to the little finger account for about one-third of all hand fractures in adults, according to the American Academy of Orthopaedic Surgeons (AAOS). Without treatment, a broken finger may remain painful and stiff, limiting mobility and function. Dr. Litts determined that Will needed surgery and scheduled him for a procedure called CRPP (Closed Reduction Percutaneous Pinning) on May 9, 2016. During the surgery, Dr. Litts placed two pins in Will’s finger to straighten the bone. A week following surgery, Will returned to work on light duty. He wore a cast on his hand until the bone healed, at which point Dr. Litts removed the pins. Pleased with Will’s progress, Dr. Litts referred him to the Occupational Therapy Hand Center at McLeod Outpatient Rehabilitation and Sports Medicine. “Successful rehabilitation of many hand disorders relies on both the expertise of the hand surgeon and the hand therapist,” said Dr. Litts. Guided by the Occupational Therapists at McLeod, Will learned how to perform therapeutic exercises to regain motion, strength, and ability in his hand. Will has enjoyed his hand therapy experience and is nearing the end of his treatment. “The therapists are extremely helpful and encouraging. It really makes a difference when everyone involved in your treatment cares about you and your progress,” said Will. “Thanks to Dr. Litts and my therapists, I can now perform all of my job duties. I was truly placed in excellent hands with the team at McLeod,” added Will.